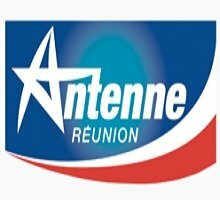 News TV Channel / Antenne Reunion is a television channel local private commercial French broadcast in the overseas department of Reunion. Following a call for applications from the Conseil Supérieur de l'Audiovisuel for the operation of a private television service of a local or regional nature in the Reunion Island, Antenne Réunion Télévision, formed by a group young media professionals supported by a group of Reunion Island investors, including Jacques de Chateauvieux, filed his project called Antenne Réunion15 September 1989. The 2 March 1990, Antenne Réunion is authorized by the CSA to broadcast its programs on channel 25 of the UHF radio network, formerly used by pirate television Télé Free Dom, and ends RFO's public monopoly on free generalist television in Reunion Island.